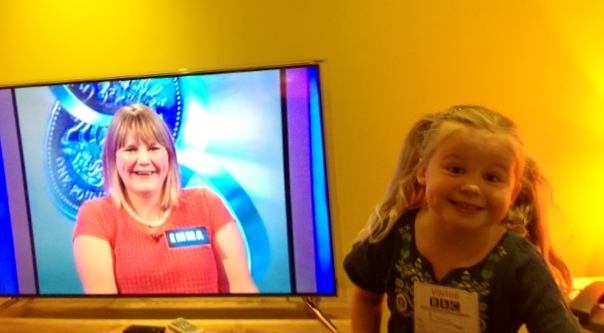 Blogging has led to many fantastic opportunities and going on The One Show is no exception. 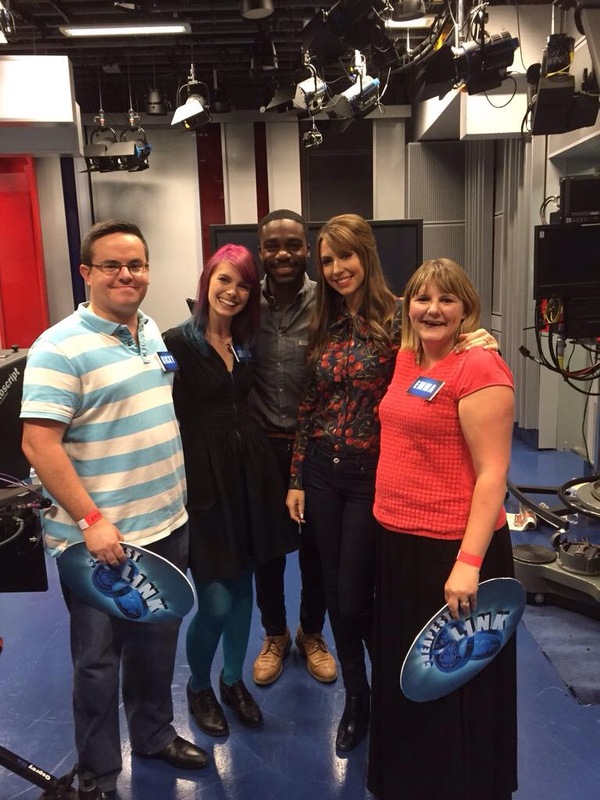 I know some lovely bloggers and when Becky suggested me for a feature on The One Show I was thrilled. Timing wise it could not have been better as I was heading to London with Erin who was doing a Vtech photoshoot and we were already planning to stay over as we were going to an event the following day. The One Show wanted me to share one of my best money saving tips as it was a feature to link in with Anne Robinson’s new show. The tip I suggested was making fruit smoothie as having three children I think it is a great money saving tip and also a way to get them to eat fruit with no hidden extras. 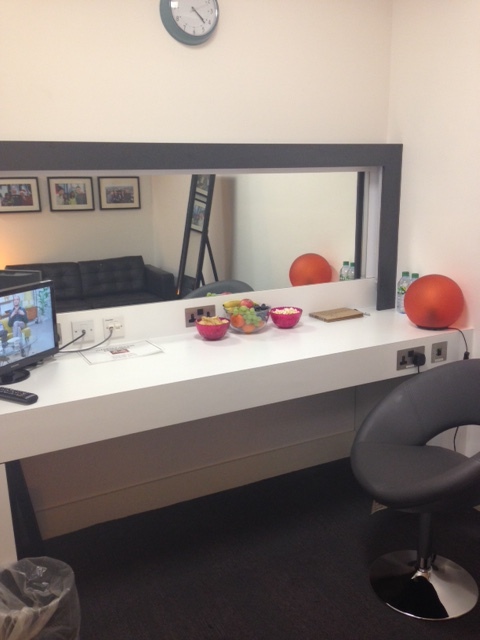 Arriving at BBC house we were taken to our dressing room which came equipped with bowls of popcorn, sweets, crisps and a mini fridge. Erin quickly helped herself and thought she was a star. We were treated really well and a runner even popped to Nero to get Erin a sandwich! After we had been there a while we moved into the green room, that was when we found out we had been in Anne’s dressing room!!!! I had my make-up done and a quick rehearsal on set. The set is much smaller than you imagine and the whole thing is very fast paced. Before we knew it we were on and the countdown was starting to the live show. I shared my tip and was thrilled that Anne picked mine as the best tip and gave me a cheeky wink (The weakest link style). The experience was great and I really enjoyed my five minutes of fame, I’m just waiting to be commissioned for my own show now where I can share more money saving ways. I really want to share ways of saving pounds but still living well, we may have reduced one family income by me not working but we haven’t changed our lifestyle and don’t go without. We have had a much better work life balance this year and hope it continues. What a fantastic opportunity!! Sounds like you had a great day and experience. I don’t know if I would have the confidence to go on live tv!! What an amazing experience! I have this recorded so I’ll be looking out for you when I get chance to sit down and watch it! What an amazing experience. It’s great that you even got the wink from Anne 🙂 What a great day. Well done on those five minutes of fame! I love your beautiful smile Emma. Always makes me want to smile too! Great to see behind the scenes of such a big show. Amazing too for me to sit down to watch someone you know on screen. Oh wow! what an opportunity. It sounds like both you and your daughter had a great time. And she’s such a cutie. Muuka recently posted…Oh, the places she will go! Ooh, I wish I still watched The One Show! I’ll have to see if I can find it on demand. 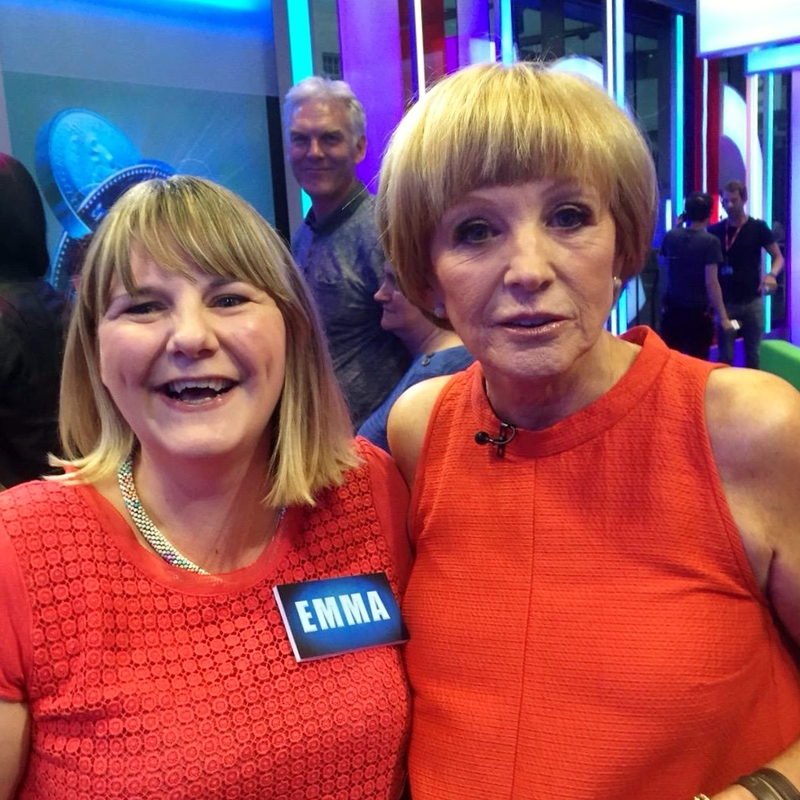 It sounds like such an amazing experience and I’m super jealous that you got to meet Anne Robinson. She’s awesome! You were awesome Emma! My kids laughed because I use our orange bags as scourers too! I watched it on catch up, you were fab and the natural winner 😉 Let’s petition for your own show! Donna @ Little Lilypad Co recently posted…Back To School : Getting the right shoes for your child’s feet. Jada Lewendon recently posted…Spud’s Lego Dream Home Creation! What a brilliant experience. I love what blogging can throw at you!